Las Vegas Best Meeting & Conference City? newslatest newsLas Vegas Best Meeting & Conference City? Is Las Vegas the best city when you're organising a congress? According to the World Travel Awards, it is. For the fifth time in a row, the organisation hails the American city as the 'Best Meetings & Conference destination'. 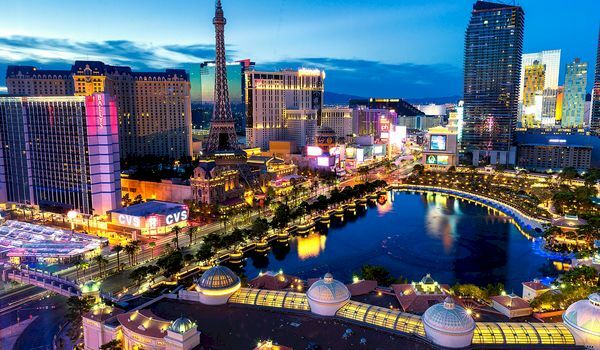 Other nominees in the category were Barcelona, Dubai, Cancun, Hong Kong, Singapore, Paris, ... Nearly 22,000 meetings and conventions take place annually in Las Vegas, among which a number of the largest trade shows in the world. By further developing the Las Vegas Convention Center District (LVCCD), the city wishes to maintain and reinforce its position as MICE destination. This expansion will add another 130,064 m2 to the existing available space. It is expected to be completed in 2020, well in time for the tech fair CES 2021. The renovation and expansion in square metres allows for even bigger shows with more visitors than is possible at present. According to the World Travel Awards, the largest congress centre in the world is The Convention Centre Dublin in Ireland. The price for best congress hotel goes to the Grand Resort Lagonissi in Greece.